University Studies encourages students to begin a life-long journey of engaged inquiry and societal contribution. As a consciously integrated component of each student's overall education experience, the program reflects our institution's fundamental commitment to fostering ethical and intellectual development and to promoting the growth of well-informed, creative, literate members of society. University Studies first establishes the basis of an essential liberal education through a multi-faceted exploration of our diverse intellectual heritage. As it extends through each student's educational career, University Studies builds upon this foundation through a course of study designed to cultivate the skills and capacities students require to respond to and anticipate the complexities of modern citizenship in an inclusive and creative manner. 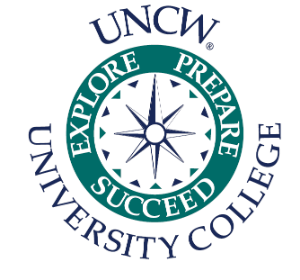 For official information about majors, degrees, and course requirements, students and advisors should refer to the UNCW Undergraduate Catalogue and degree audits for individual students. The degree audits show completed courses and remaining requirements for graduation. Our degree audit system is available to faculty and students via SeaNet. Be sure to check your degree audit. Building Competencies are listed on the University Studies website along with all approved US courses in the curriculum. If a student takes a course before its addition to University Studies, the course will not automatically fulfill University Studies Building Competencies requirement. Students may submit a Petition Form if they feel a course may fulfill this requirement.